Open for all below the age of 26 years from anywhere in the world, the talent scouting competition aims to identify and nurture the most talented individual for a senior position through a three-year all-expenses paid programme. Those with a passion for the industry can apply online by submitting a personal video at WWW.THEWORLDSGREATESTHOSPITALITYTALENT.COM. Eight candidates will be short-listed and invited to Dubai in July for a one-week casting that will combine traditional and innovative selection techniques. A casting centre will evaluate the short-listed candidates for their personality, creativity, innovative approaches and genuine passion for the industry. One will emerge as the winner – the world’s greatest hospitality talent – who will undergo a three-year training under Emaar Hospitality Group’s senior leaders and work across the board. The winning candidate must be below 26 years old and hold a bachelor’s degree or equivalent from any discipline, when the training commences in September 2018. She/he will be stationed in Dubaiand take part in a comprehensive development programme. The winner will receive remuneration as per industry standards including housing, transport allowance, and other perks. In the role of Interim General Manager, she/he will work across diverse aspects by shadowing the CEO and senior managers, and will pursue a fully-funded executive MBA programme in Dubai. 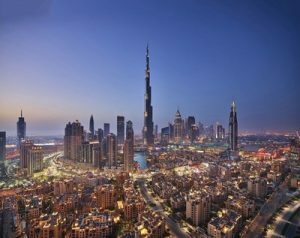 Emaar Hospitality Group has 11 operational hotels and three serviced residences in Dubai under Address Hotels + Resorts; the upscale lifestyle Vida Hotels and Resorts; and the contemporary midscale Rove Hotels, and several upcoming projects in the UAE, Saudi Arabia, Bahrain, Egypt, Turkey and Maldives.